Amazing newer construction townhome located on quiet cul-de-sac street in beautiful central Oak Park. Walk to schools, shops, the best dining and so much more! The large entry foyer greats you! Don't miss the mudroom space & large closet. Relax in the ground level French doored family room with two walls of windows. Grand 2nd level living space features a cook's kitchen with thick granite tops, custom cabinetry, stainless appliances, eat-at island & balcony for BBQ! Host your favorite meals in the open dining area and retreat to the large bright living room with stately gas fireplace. Two large bedrooms on the 3rd level include a master suite you will never want to leave with dual sink vanity master bath & loads of closet space. The spectacular 4th level holds the private true 3rd bedroom with vaulted ceiling, half bath & large closets as well as the home's roof-top deck for outdoor entertaining! Two car attached garage. Access to all forms of transportation... Green/Blue Line & Metra! Driving Directions: Harlem to Jackson Blvd, turn east. Then turn north onto Maple Ave.
641 South Maple Avenue #I, Oak Park, IL 60304 (MLS# 10148899) is a Condo / Townhouse property that was sold at $340,000 on April 19, 2019. Want to learn more about 641 South Maple Avenue #I? 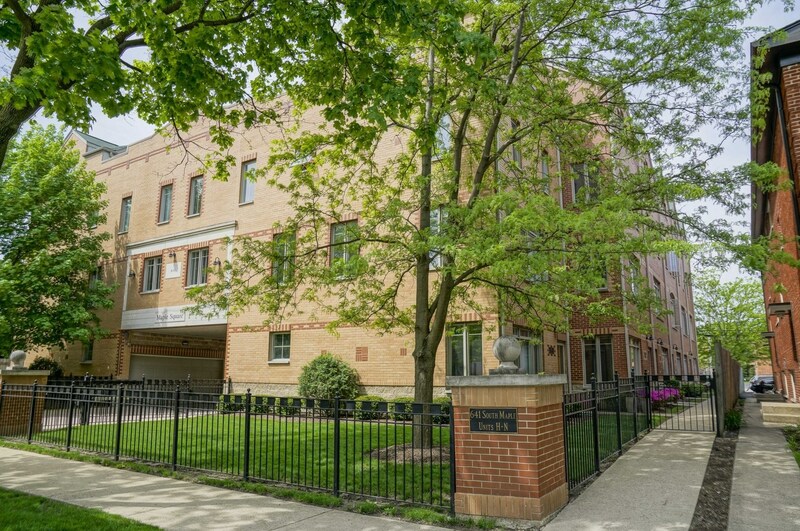 Do you have questions about finding other Condo / Townhouse real estate for sale in Oak Park? You can browse all Oak Park real estate or contact a Coldwell Banker agent to request more information.